Even though I am still working on Chic Kisses, I do have a finish for September. 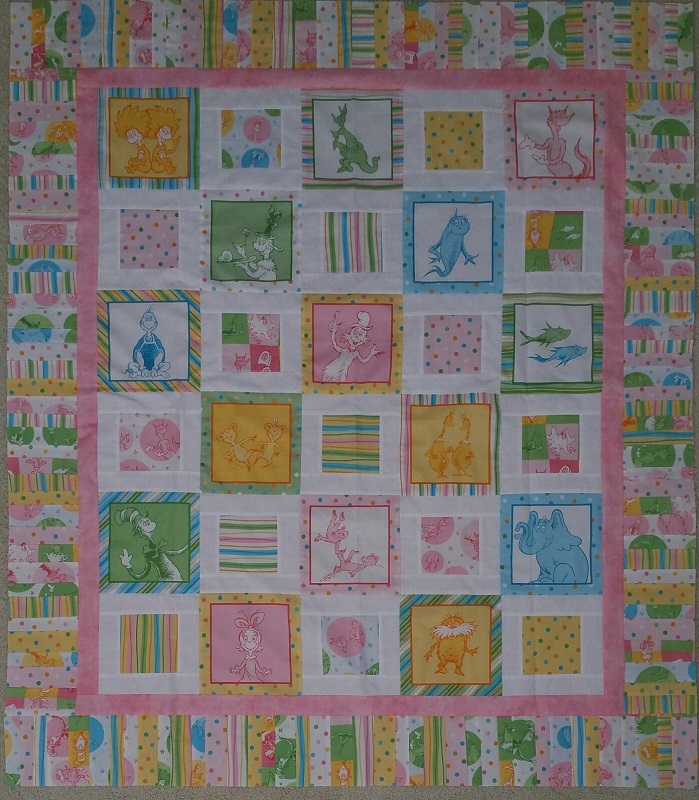 This cute, and easy Dr Seuss Baby quilt. Made out of a panel of blocks and some fat quarters, I finished it off using all the leftovers for the border. 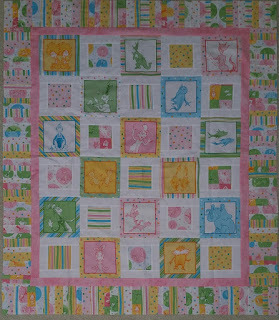 I think it turned out very cute, and will go to my new niece once it is quilted and bound. Check out more finishes at Patchwork Times. Now it is on to October, with two projects to finish!